RYDOR.COM / RYDOR ENTERPRISES L.L.C. 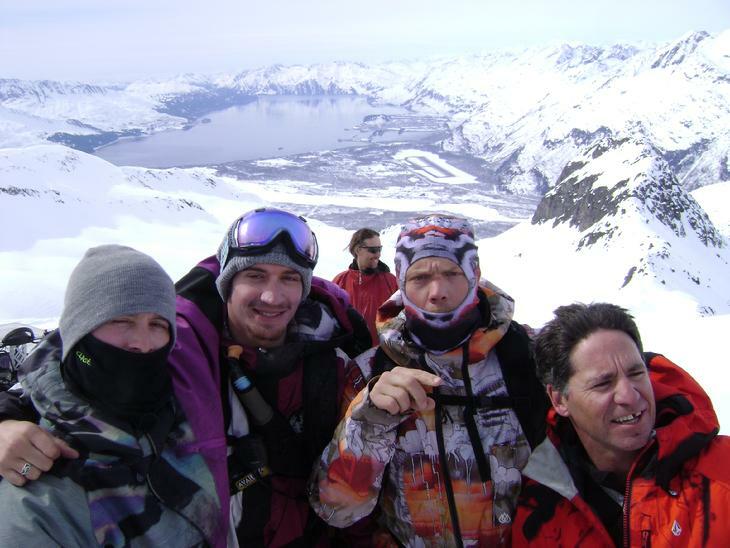 Mark Landvic, Scotty Lago, Donny Mills, Travis Rice and Shawn Farmer peep the CMRC site!!! This chair-lift project was developed as a year round Economic Engine and International Attraction for Valdez and South Central Alaska, this is a project that utilizes Valdez's natural resources in a sustainable, positive and environmentally sound format. Chugach Mountain Recreation Center is a project that will provide a year round, 4,700 vertical foot chair lift or series of chairlifts (over3 miles in length) in Valdez, Alaska with over 5,500 acres of terrain, outstanding customer service catering to each individual customer's needs and skill levels. 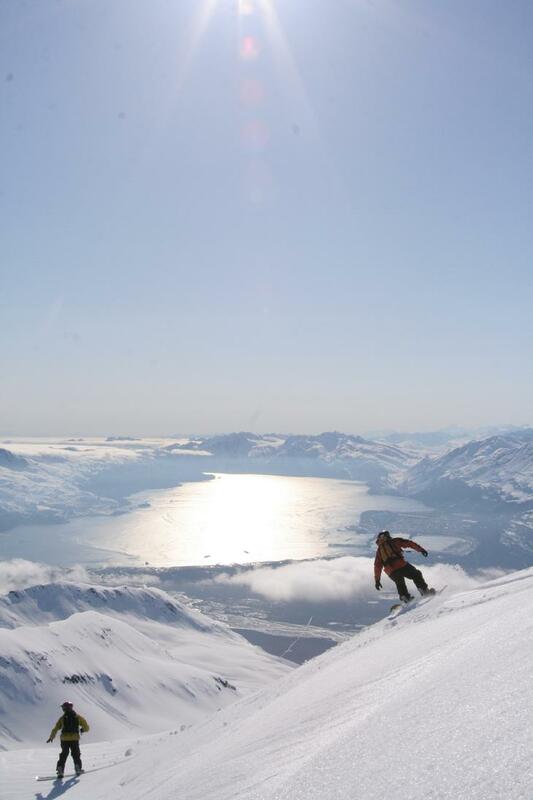 This family friendly center will expand and capitalize on Valdez's outstanding snow pack and beautiful terrain, our existing status in the worldwide skiing, snowboarding and mountaineering marketplace, while still providing a safe but thrilling mountain experience for all visitors. 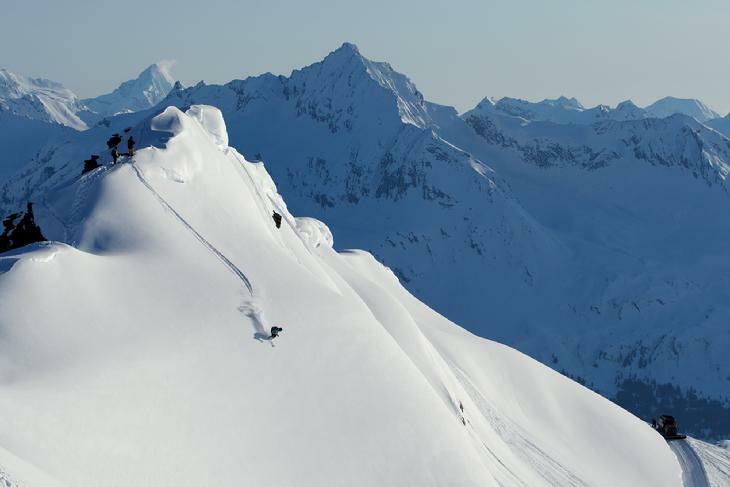 With our mindblowing views, above tree line terrain, and individual customer service, year round visitors will live the experience of the incredible Chugach Mountain Range!!! 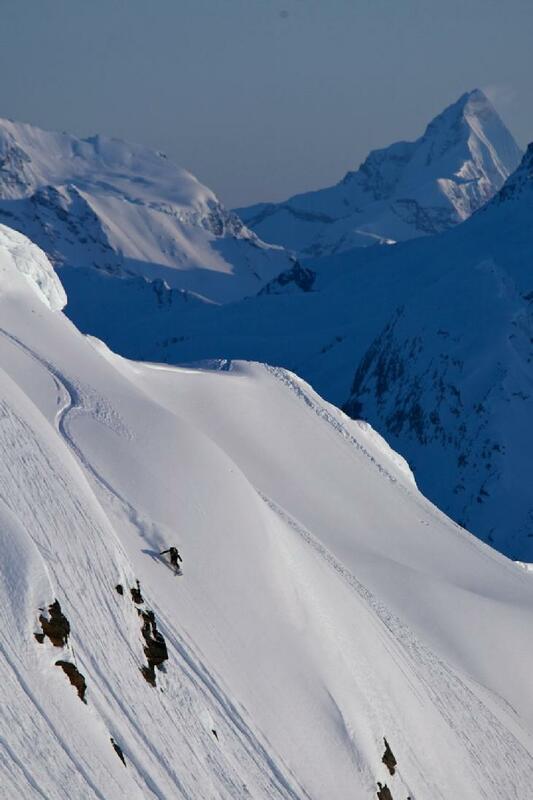 Rydor Enterprises LLC is owned and operated by 40 year old Ryan McCune, Ryan is a life long Alaskan who has enjoyed over 30 years of back country experiences in Valdez. Ryan has traveled to many International and State side Ski Resorts studying the layouts and how they could have been built more efficient, this explains the single high speed quad chair-lift in phase one of the mountain project. The CMRC chair lift project was started 18 years ago and has moved from a simple concept into a feasible investment project for Rydor Enterprises. 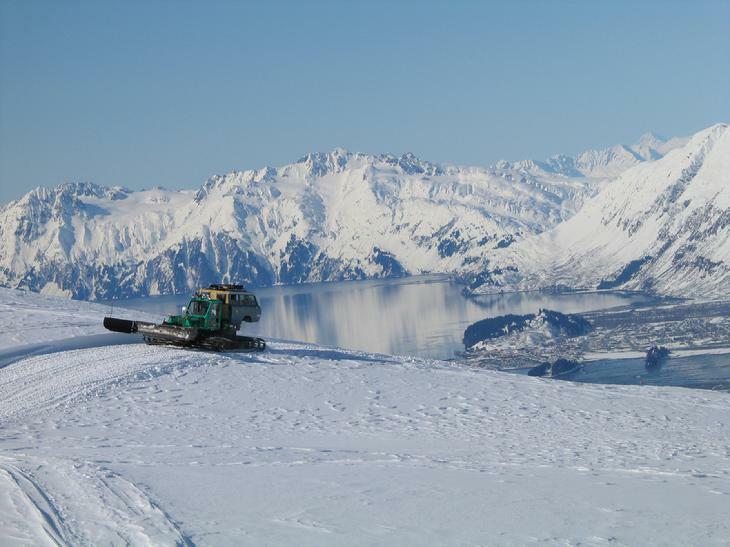 In 2007 Rydor Enterprises purchased 100 acres of land encompassing the entire base of East Peak from the City of Valdez, with this land purchase Rydor Enterprises is now the adjacent property owner to DNR property that the chair-lift will eventually be placed upon. In the fall of 2007, Rydor Enterprises was granted access to the land for the purpose of building a two mile 4x4 road system through the property, this was completed in mid-October, as well as a hand cut trail system up the Mountain. Access at this time consist of the Alpetco road, this road is a 4x4 road and is 4.2 miles in distance from the closest paved road and crosses several small creek systems. Ryan McCune is an advocate for green and or efficient power generation, he would like to investigate generating our own power at the base area utilizing natural renewable resources such as wind, hydro and geothermal. As a beginning point we would like to investigate a hydro-electric source from Slater Creek that could be capable of generating 200 to 500 KW of energy at a fraction of the price of current fuel fired generation systems, this amount of energy would power the entire site and could grow into a supplemental power supply for Valdez. 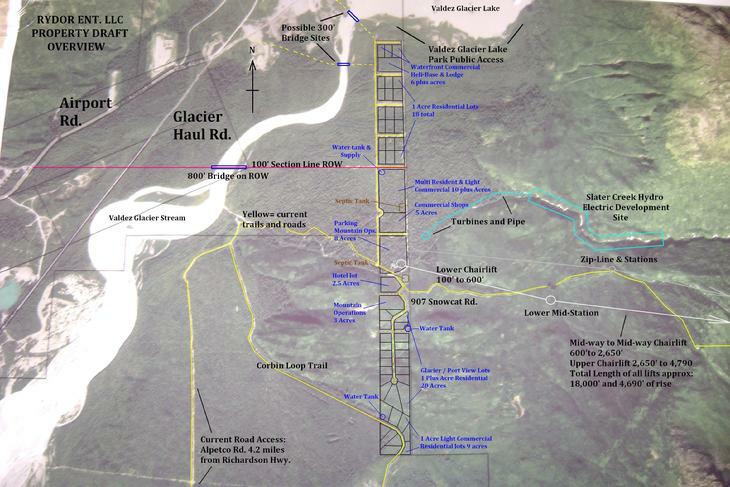 Permanent access will be on a section line easement from Valdez Airport Road, this road would be 1.3 miles in length, but would consist of building a 300 foot plus bridge over Valdez Glacier Stream, once this road and bridge are built the chair-lift base would be less than 2 miles from Valdez Airport and commercial 3 phase power. During the Fall of 2008, we had completed a storage shed at the future "bullwheel" site, as well as an additional 9,000 feet of new roads for development of future residential and commercial property. In the near future we will continue with further land surveys, road improvements, and development of a bridge plan for the Valdez Glacier Stream. Generate interest and market the CMRC project vision to potential investors. Complete summer time mountain trails for year-round access to the mid mountain area. Further development of "907 snow cat tours" snow cat operations. Provide year round tours of the area to interested investors. 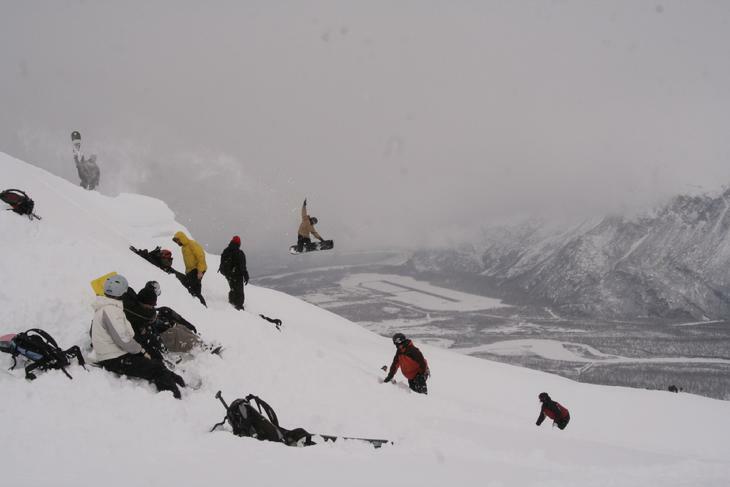 Promote 4 season tourism worldwide in the Valdez area. Overall infrastructure development providing access to the property for development. Continue survey plat of the acquired property for subdividing and revenue purposes. Develop positive long lasting relations with the City of Valdez gaining the councils support. Continue communication with the adjacent property owner DNR (Department of Natural Resources) as to the progress of the project. Addressing community input and project involvement, or any concerns that the general public might have. Investigate and develop an efficient energy plan (solar, wind and steam). Pursue a Slater Creek Hydro-Electric power plan.